Partnership between Seattle Department of Transportation to create safe places in neighborhoods with art installations. See progress images of our ongoing staircase mural project HERE. Empowering young ladies by bringing professionals into their creative spaces. Learn more about the sessions I host HERE. 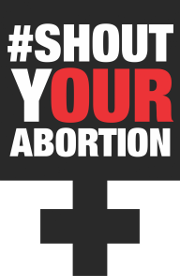 #ShoutYourAbortion is a social media campaign where women share their abortion experiences online for the purpose of “destigmatization, normalization, & putting an end to shame.” Read more about my mural project with them HERE. Teaching youth working skills through artistic partnerships. Track the progress of my current project with the youth participants of UA HERE.